There are a lifetime’s worth of influences underlying any novel, including my own debut, Lilli de Jong. But one fundamental influence was this: My mother kept a diary. And thus began my understanding of the power of writing to oneself. I grew up in an old Connecticut town, a semi-rural place with a few remaining farmsteads and a growing population of commuters to job hubs in Connecticut and New York. Our house bordered a swamp, and I met my best friend there most afternoons to explore plants and snails, worms, and a modest creek—a wending, narrow, rock-filled place that we found fascinating. I loved my mother dearly. In my early years, I loved watching her in action: seated before an easel, silently spreading oil paint across a canvas; standing in the kitchen, cooking from recipes she followed with care; engaging in animated conversation with friends. I watched her freckled, pretty face when she was yelling, crying, laughing, reading. When she read, her face was open and soft. When I wasn’t watching, she kept a diary. People may have viewed a housewife’s diary-keeping then as a cute past-time—a way of elevating the purported trivia of her life or, at best, a way of finding company. But diaries are powerful. They offer a place where muffled voices can tell their truths. Diaries are tools for digging up what we know and for laying claim to what we find. My parents divorced when I was nine. Even before my father moved out, mothering and keeping house were no longer central to my mother’s life. She’d already blasted free of the confinement of being a housewife in suburbia, married to an often silent man. Yet I didn’t want this to be true. I wanted to think that, at least in private, she considered me central. And somehow I figured out that she was keeping a diary. She kept the book in her bedroom; perhaps I came in once when she was writing. After the divorce, she sometimes stayed out till late at night, doing exciting and important things I didn’t understand. More than once I went into her bedroom, pulled open the door of her night-table cabinet, took out the cloth-covered three-ring binder she wrote in, and scanned its pages. My mother’s scrawl was nearly incomprehensible to me, as she’d been a left-handed person in a school system that made her hold a pen in a bizarre manner to conform. But I managed to find out some of what she thought and felt about her art, her lovers, her nighttime dreams. These matters were not what I was hungering to find. I was searching for my own name. Now and then I found it in a note about me doing some out-of-the-ordinary activity. “Janet left for camp today.” “Went tonight to Janet’s play.” I don’t remember finding more than a few sentences. I stopped looking. Because when I read her diaries, there was no denying that she was the central character of her life. This was not what I wanted to believe. Inevitably, such a realization occurs in every relatively healthy mother-child relationship; it is important to understand—for those who were lucky enough to have had the opportunity, to some extent, not to understand—that one’s mother doesn’t exist as the sun to one’s earth. She is her own planet. In some circumstances, at some ages—or perhaps in some secret part of ourselves, always—it hurts to know this. Still, I must have appreciated the candid way my mother wrote of what concerned her. I must have seen that a diary was a place for truth-telling. Because I decided that a diary was a place I needed to have. At ten, I created my first one, folding blank paper in half, stapling it in the middle, gluing fabric to its front and back. My parents were divorced by then, and divorce was uncommon in our little town. My dad was just about to marry the second love of his life, which shocked me; I didn’t like to know that our family was truly never going to cohere again. I needed a private friend. I wrote my first entry on the evening of that wedding. My relationship to the page wasn’t immediately confessional. Like someone in the early stages of a courtship, I was coy. Within a year or two, however, I needed the pages of my diaries more than anything. I needed somewhere to be real. Diaries are subversive by nature; they contain points of view that can’t be expressed publicly. If we want them to, they can hold anything we feel. As such, they are a particularly meaningful tool for anyone who’s not ideally situated in life. Until I was a mother, I kept a diary for myself, gradually filling two old trunks with notebook after notebook. I carted these trunks from one coast to another, from apartment to apartment to house. They sit in my home office now, growing more fragile by the year. They say, “Open us! Claim us!” But I’m afraid. Do I dare to feel again what I felt back then? One day, I’ve often thought. I’ll see what I can make from all that. When I became pregnant, I stopped filling notebooks with stories from the life of me. I began writing to my baby-in-progress. After my daughter’s birth, I continued writing to her future self in notebooks. But my own truths about adjusting to my roles as mother and wife became awkward, difficult. They seemed traitorous. I did write them in my own diary, a little, but time was scarce, and I wanted to write the novel that was coming to me. For the next dozen years, I wrote that novel instead. I’ve long loved well-wrought novels that convince me the narrator is writing to a diary. Their immediacy creates tension, and by nature they allow readers close access to the diarist’s mind—an intimacy that satisfies. The diary novels I’ve counted as favorites include Mary Reilly by Valerie Martin, Notes from the Underground by Fyodor Dostoevsky, Dracula by Bram Stoker, The Color Purple by Alice Walker, and two by Geraldine Brooks: Caleb’s Crossing and Year of Wonders. So it’s no surprise, in retrospect, that the first novel I’ve finished of the four I’ve begun—the first one I was willing to put eight or nine thousand hours into—is a diary. Lilli de Jong keeps it during a transformative four months of her life: from the last weeks of her pregnancy through her first months of learning to be a mother. Women have long kept diaries. The published American women’s diaries I’ve seen from the eighteenth and nineteenth centuries are telegraphic in nature, describing visitors, work accomplished, the weather, and financial transactions; they rarely contain feelings. In some cases, more intimate sections may have been deleted by grandchildren or other editors who compiled the published versions. But no doubt many diarists didn’t feel that such things should be entrusted to a page. An artist, though, may be more likely to know that such honesty is transformative. Beginning with her diary, poems, and paintings, my mother, Suzanne Benton, became powerful. She turned 81 last January on the stage of the Women’s March in St. Petersburg, Florida, as a huge crowd sang “Happy Birthday” to her. She was introducing the city’s mayor, Rick Kriseman, because it was she who had conceived of that city’s march, had drawn people together to make it happen, had worked long days and nights to co-create the largest march ever assembled in St. Petersburg, with an estimated twenty-five thousand people. Amid applause, Mayor Kriseman took the microphone and read a proclamation naming that day, January 21st, as Women’s Rights Day in St. Petersburg. This large life my mother has claimed was not what others expected of her. She, too, had to win her rights. But that’s another story. I saw my mother’s genius and her courage up close. By example, she taught me that making art is a process of healing, of inventing oneself, of telling one’s stories. She taught me that we create ourselves continually, and that being true to yourself can connect you with others in meaningful ways. As for those who are uncomfortable with this, one should stay too well occupied to notice. My mother showed me that making art offers a way to face and transform whatever life offers. She taught me that making art is a form of perpetually rescuing oneself. Rescuing herself is precisely what Lilli de Jong does by keeping a diary in 1883 Philadelphia. She matters in those pages, and this helps her believe that her concerns should matter in the world. Her notebook-writing helps her stay honest with herself—and strengthens her voice. Keeping a diary sustains the dear and courageous unwed mother I invented, a young Quaker named Lilli de Jong. I hope her story will move its readers, bringing them close to her mind and heart, as diary novels can do this like no others. 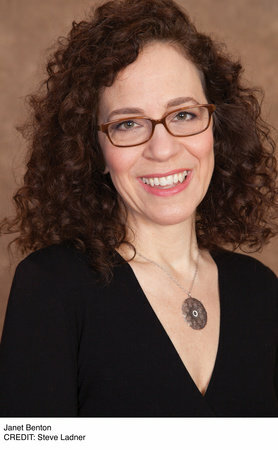 bio: Janet Benton is a writers’ mentor through her business, The Word Studio. 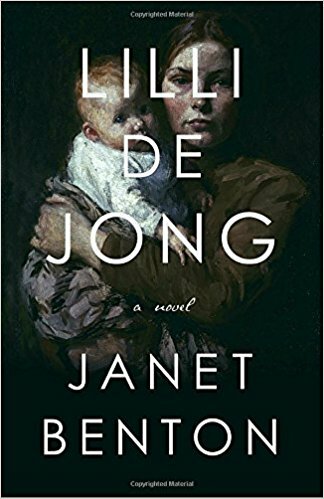 Her debut novel, Lilli de Jong (Nan A. Talese/Doubleday), is the diary of an unwed Quaker mother in 1883 Philadelphia who decides to keep her baby amid fierce prejudice. Visit http://www.janetbentonauthor.com to learn more.